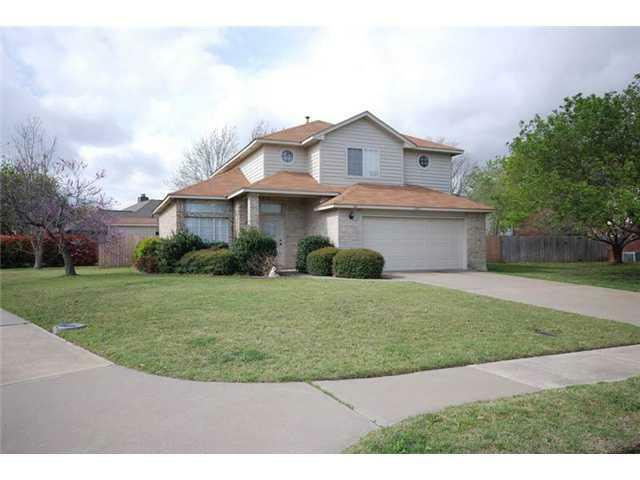 Another Great Home Leased by Premiere Team Real Estate - Beautiful home for lease in South Creek, Round Rock. Large corner lot with 3 bedrooms, 2.5 baths, 2 living rooms and 2 dining rooms - Kitchen is spacious and opens to the living room with wood laminate floors - Indoor utility room - Master bedroom has a luxurious master bath with double sinks, large walk-in closet, garden tub and separate shower - Large storage shed/workshop and wide side gate - Decorator paint colors. Another great home for lease in South Creek, Round Rock, Texas.